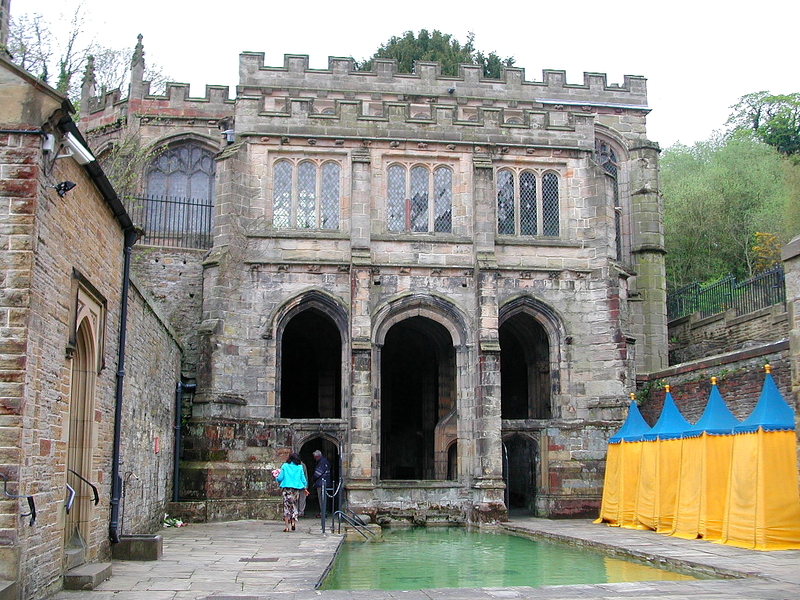 The holy spring of St Winifred, an important center of medieval pilgrimage still venerated today, is said to have risen where St Beuno restored his niece St Winifred to life after her head had been severed by Cardoc, a rejected suitor. 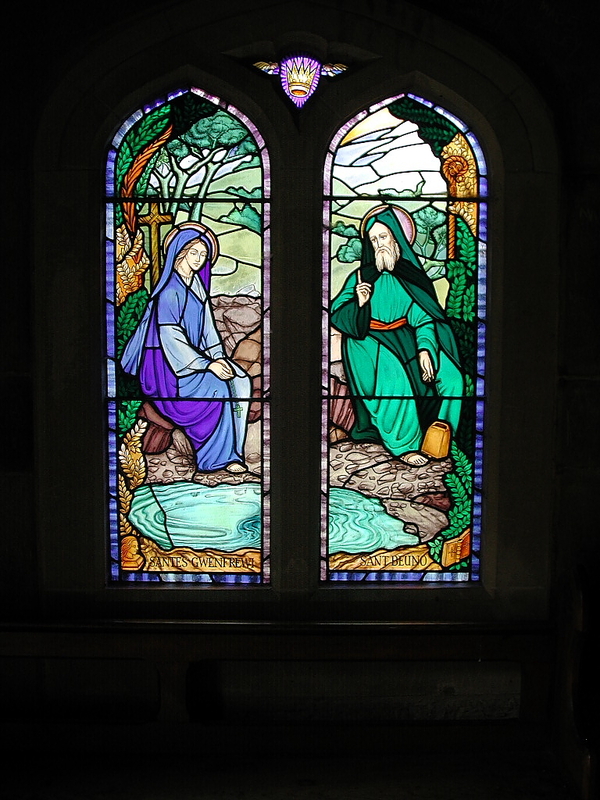 St Beuno is a well-attested 7th-century figure, responsible for bringing Celtic monasticism to much of north Wales. 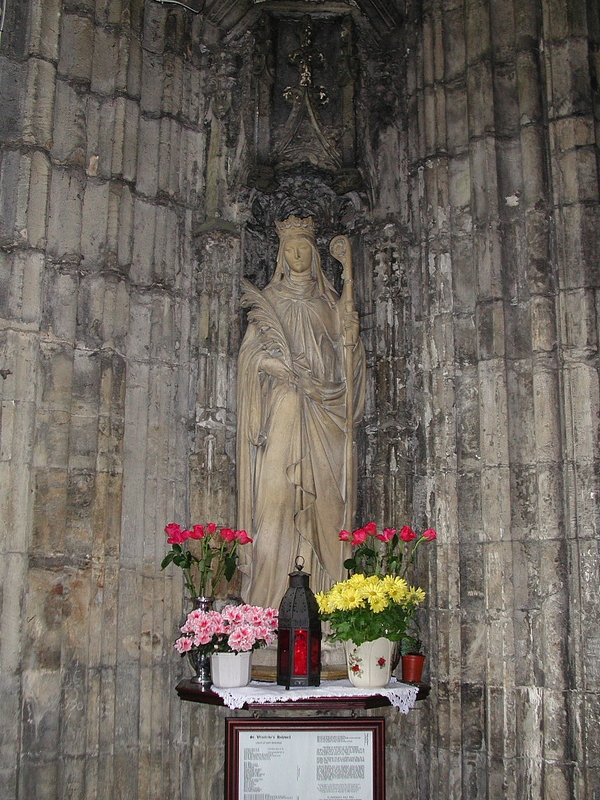 The shrine was first mentioned as a place of pilgrimage in 1115, and from 1240 to the dissolution it was part of the possessions of Basingwerk Abbey. Henry V made the pilgrimage in 1415 before his victory at Agincourt, as did Edward IV before Towton Moor in 1461. The future Henry VII, too, is thought to have made a secret visit before winning his crown at Bosworth in 1485. The present remarkable and architecturally unique building, set into a hillside, dates from the late 15th century. 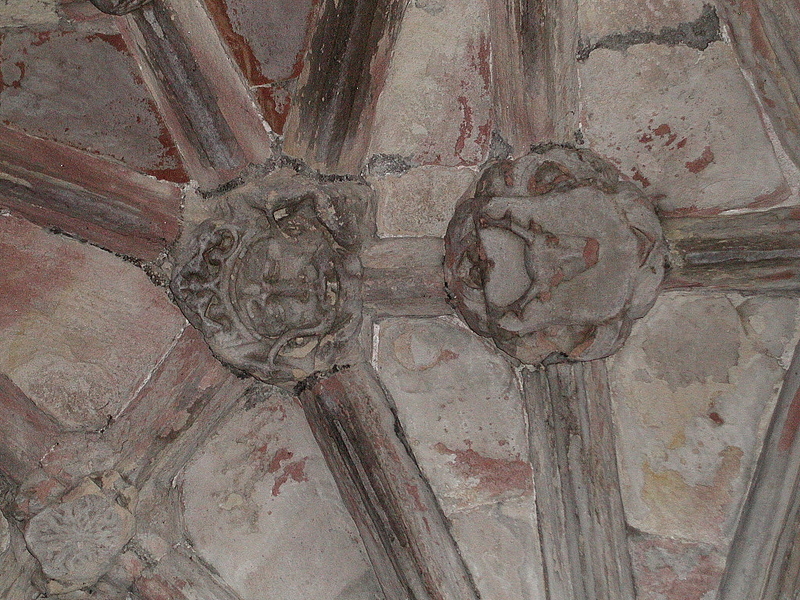 It was probably built for Margaret Beaufort, Henry VII's mother, to replace an earlier structure, and is richly ornamented on the exterior with a frieze of animals, and the badges of Henry VII and Thomas Stanley (Margaret Beaufort's third husband); the quality of the workmanship suggests that royal masons may have been employed. The building consists of two floors. 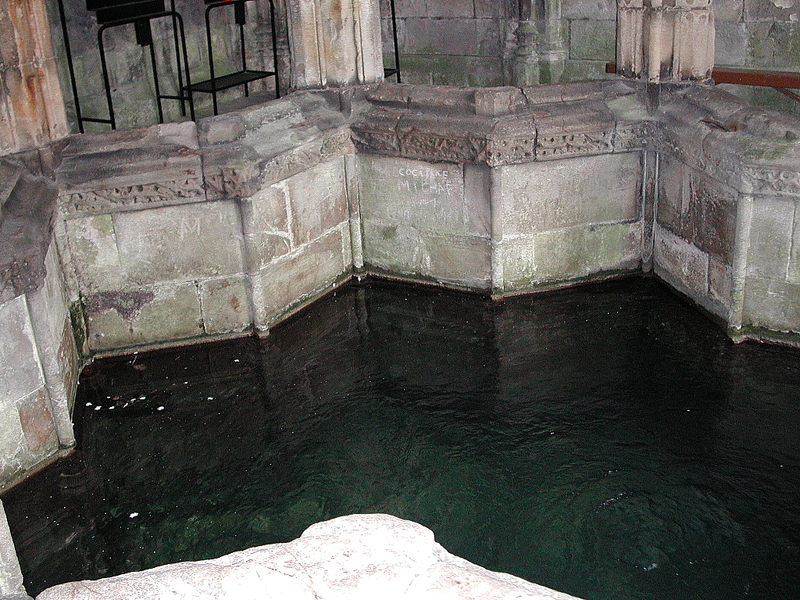 The well-chamber is open on the downhill (northern) side, while there is level access from the south into the chapel above. A copious spring of clear water rises in a central basin in the shape of a truncated eight-pointed star, with steps in the front for access by the sick. The water flows away beneath the surrounding walkway into a more recent swimming pool. The basin is enclosed by a low wall from which columns rise to form part of an elaborately ornamented vault of unusually complex design, matching the form of the pool below. 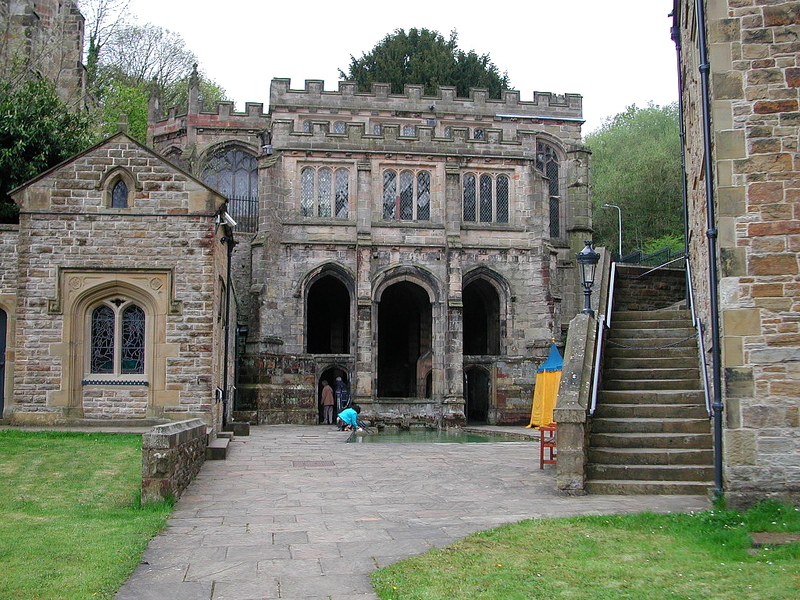 The chapel has a north aisle and an apsidal chancel. 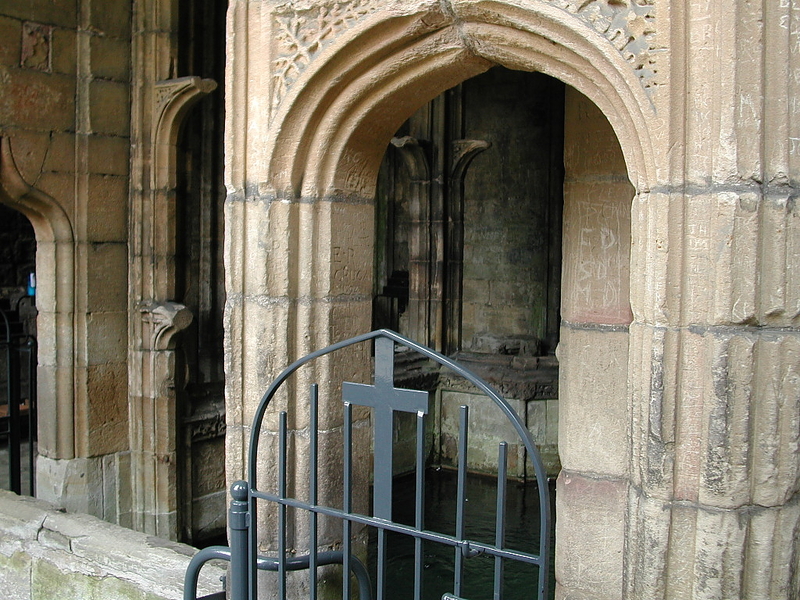 The three bays of the aisle mirror the three arcades of the vault in the well-chamber below, although stairs linking the two floors are now blocked.